The aims of your member organisation may be long-established, but when your strategic goals move, or membership changes, it’s time to adapt your comms too. 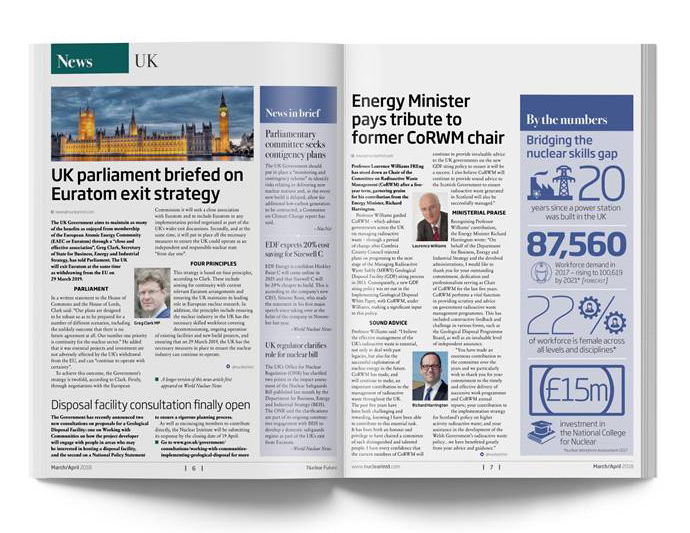 In this blog, we’ll explore this in action by taking a look at the relaunch of Nuclear Future, the magazine of the Nuclear Institute (NI), the professional body and learned society for the nuclear industry, representing over 2,500 professionals. 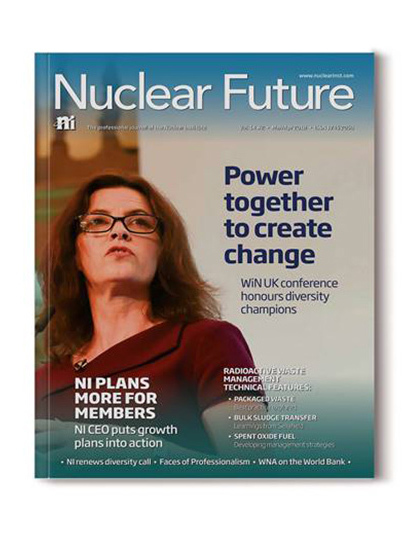 The NI had a key editorial driver in relaunching Nuclear Future which grew from the evolving expectations of its members. The magazine was previously dominated by a section of technical features and while the value of this content was not disputed, the NI said its membership was changing which prompted the need for lighter types of content, plus more topical articles about people, the nuclear sector and current affairs. The NI seeks to be at the heart of a vibrant and growing nuclear community, driving nuclear professionalism for the benefit of all, aiding member retention and reflecting the organisation with authority and dynamism. That meant when revamping the title, curating and creating content more closely aligned to this vision was, and is, a priority. Presenting content in ways that increased member engagement and cover-to-cover readers is also vital. We want Nuclear Future to start conversations throughout the NI’s membership and, importantly, encourage action related to boosting nuclear professionalism, for example, a member upgrading their membership or attending an event. Editorially, this means working with stakeholders to get more member-focused stories on page, centring on personalities and professionalism, including long-form interviews with figureheads from the sector. We also ensure the new Nuclear Future should have stronger discipline around calls to action and online signposting in order to support ongoing and deeper engagement. Today, we commission or curate more issue-led and topical content and have revived the news section with a diverting news flow. This includes a regular typographical ‘By the numbers’ statistic-led news story and an attention-grabbing picture-led news item. Our design approach for Nuclear Future focuses on giving readers a more accessible magazine. This meant changing the format of the magazine, reducing it from A4 to a more approachable size, providing multiple entry points to pages and using sub headings, pull quotes and tint panels to break up content. We want members to feel invited in to pieces, rather than being overwhelmed by text. We also deploy bolder typography and high production values throughout the magazine to create a professional and contemporary look, with stronger imagery and robust standfirsts to bring the reader in and keep them reading. Importantly, Nuclear Future has prompted a debate amongst readers, with the magazine featuring its first letter to the Editor, which then prompted a continued conversation among members. If you think we can help your membership comms better reflect who your members are today, get in touch.